Enjoy the fastest growing action sport in UK that is a guaranteed team building event. 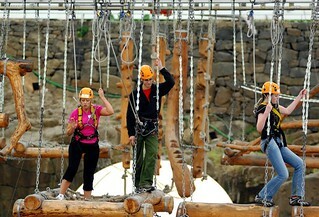 Your group will be conducted to a test of fitness, planning, teamwork and agility. Working together, each member can team up, under, over, through and down the obstacles.